Anthony Joshua on why people, regular ordinary working folks, can relate to the sport of boxing – speaking ahead of his latest fight. 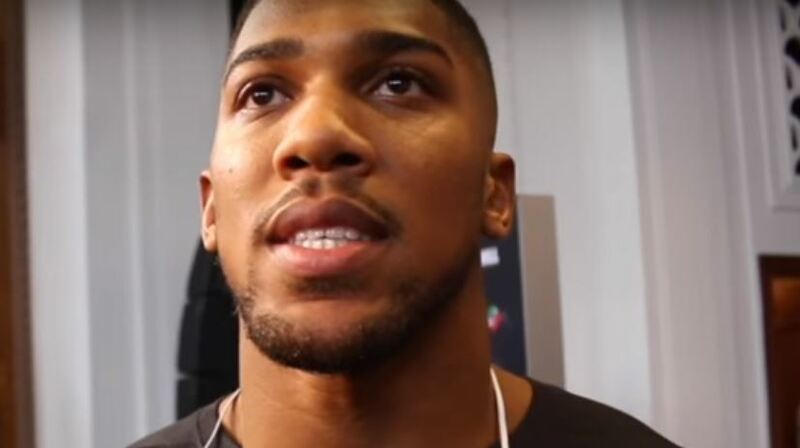 Heavyweight champion Anthony Joshua will defend his titles against Carlos Takam this weekend at in Cardiff, Wales but it wasn’t long ago he was making his way up the ranks. In just a few short years since turning pro he’s become heavyweight champion, filled out stadiums and beaten Wladimir Klitschko. But he does not appear to be influenced by fame yet, to his credit, and has not lost touch with reality look some sports stars can when they reach the level he has. The sport of boxing has always been a great sport for the working class and regular folks. In many ways though the sport can be related to be anyone, from any walk in life.